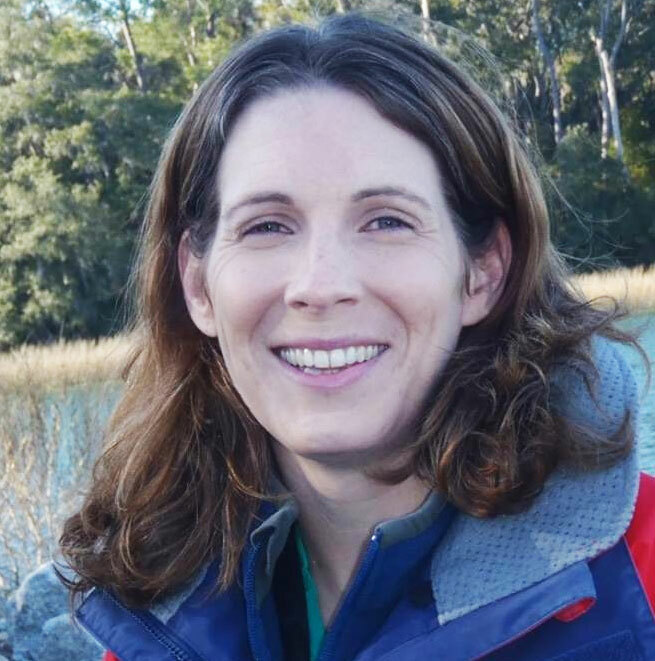 Julie was born and raised in Nova Scotia, Canada, but now lives and works in Beaufort, S.C., as the South Carolina Sea Grant Consortium’s Living Marine Resources Extension Specialist. She works with commercial fishermen and shellfish farmers to help them improve the economic and environmental viability and sustainability of their businesses. Julie’s background is in the private sector - three years as a conch farm grow-out and processing manager, 18 months conducting a large-scale spiny lobster recruitment study, and four years as an environmental consultant. She earned a BSc (Hons) in Marine Biology from Dalhousie University in 2003 and an MSc in Fisheries and Aquaculture from Auburn University, where she focused on the effects of stocking density and basket arrangement when using an adjustable long-line system for oyster grow-out.